One to one computer initiative began in 2016. It now spans from 5th grade students to high school. St. Martin Parish School District’s Virtual Learning Program addresses the educational needs of students via a non-traditional approach to achieve a world-class education. The U.S. District Court has entered an order in the District's desegregation case which includes changes in the Catahoula, St. Martinville, Parks, and Breaux Bridge attendance zones as well as improvements in the Majority-to-Minority transfer program, among other things. See below for more information. Classes focus on Science, Technology, Engineering and Math. The St. Martin Parish School Board will begin accepting Majority to Minority applications for the 2019-2020 school year. The deadline for submitting applications is May 1, 2019. 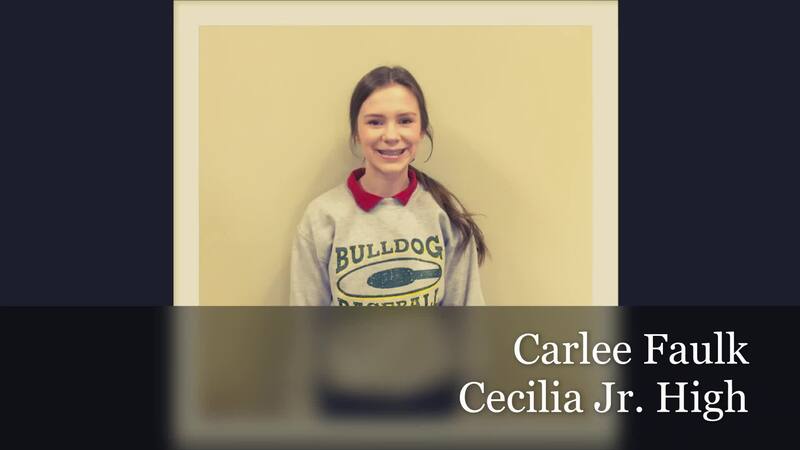 All Cecilia area schools have students enrolled in a French Immersion Program. Students are taught the subjects of Math, Science and Social Studies from French teachers. Mr. Allen "Al" Blanchard was appointed Superintendent at the last school board meeting held on March 13, 2019. Read More About This Article about New Superintendent Appointed!! St. Martin Parish School Board will host a Job Fair on Thursday, May 2, 2019, in the Boardroom at the Federal Programs and Technology Annex, 625 Corporate Boulevard, Breaux Bridge, LA from 1:00 p. m. to 4:00 p. m. Seventeen schools will be represented in a floating open house style format. Please register online. Click here to register. The U.S. District Court has entered an order in the District's desegregation case which includes changes in the Catahoula, St. Martinville, Parks, and Breaux Bridge attendance zones as well as improvements in the Majority-to-Minority transfer program, among other things. Use the link below to view a copy of the order and zone maps. Within the next 2 weeks, you will be able to view the new zone maps at your child's school, the Administration office in Breaux Bridge, and the School Board office in St. Martinville. For questions about the zone changes or M-to-M transfers, please call the Department of Administration at 332-2105 for further assistance. The School Board and District staff appreciate your support as we move forward in compliance with our desegregation obligations. The Consent Order and exhibits agreed upon by all parties and approved by Judge Elizabeth Foote are listed below. Click to view. The St. Martin Parish School Board will begin accepting Majority to Minority applications for the 2019-2020 school year. The deadline for submitting applications is May 1, 2019. Applications can be found on the district’s website or by contacting the main office listed below. For questions about the zone changes or M-to-M transfers, please call the office of Child Welfare and Attendance at the Department of Administration at 332-2105 for further assistance. Earn rewards for starting 2018 on a healthy note! St Martin Parish School Board and UMR have teamed up to offer you opportunities to win rewards for making healthy lifestyle choices. All employees, spouses and retirees (not on Medicare) that are enrolled in the St Martin Parish School Board group medical plan are eligible to participate in any of the three wellness programs being offered. Eligible members may participate and are eligible to win $100 reward cards in all 3 programs. Please review the attached flyer outlining these incentive programs and guidelines. You may contact your UMR Nurse Advocate, Amanda Boyer at 225-237-2061 for any questions.